For starters, cars will be limited; bikes may be limited later. BMWs premier adventure bike arrives with a ShiftCam engine. Benelli returns to India with the TRK 502 and TRK 502 X. 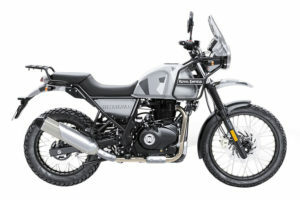 New scrambler will be available in 350 and 500 versions. The ABS unit may have been contaminated with debris. The Svartpilen 701 is ready for the street. Bikes can now ride between cars under certain circumstances. Suzuki posts excellent financial results in India. No production date announced for Honda CR-E.
Ducati says revenue is being used to fund new technology. Clutch cable may damage wiring harness. Have bike, will travel? Air Canada can help. ABS is coming to North American models, along with a new paint option.